Daniel Winkler has been making blades since 1975, and the Winkler Field Knife is testament to his thirty years of craftsmanship and devotion. Forged with care and inspired by the frontier history of America, this fixed-blade field knife is the perfect everyday tool. The Field Knife is a great fit for someone that needs a larger blade for field work. 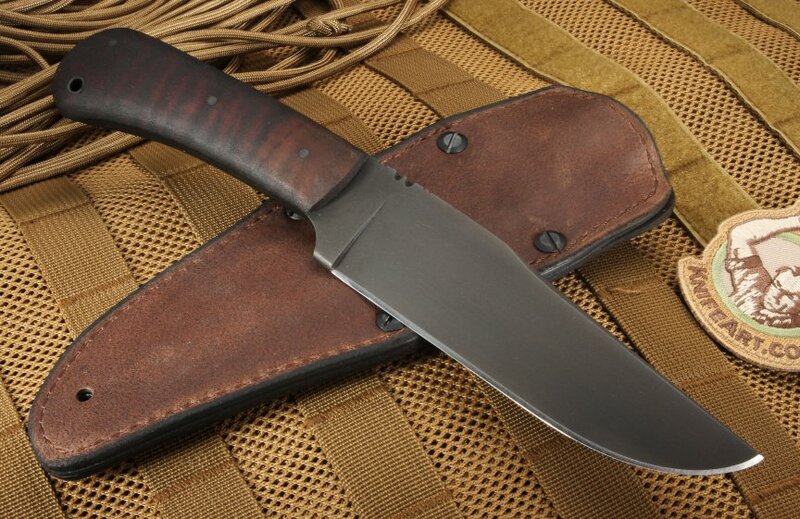 The Winkler Field Knife features a razor-sharp 80CRV2 carbon steel, flat grind 5.7ö blade. The flat grind tapers from spine to edges on both sides (a grind difficult to achieve, and thus rare on the commercial market), and provides a sharpness unrivaled by other grinds. 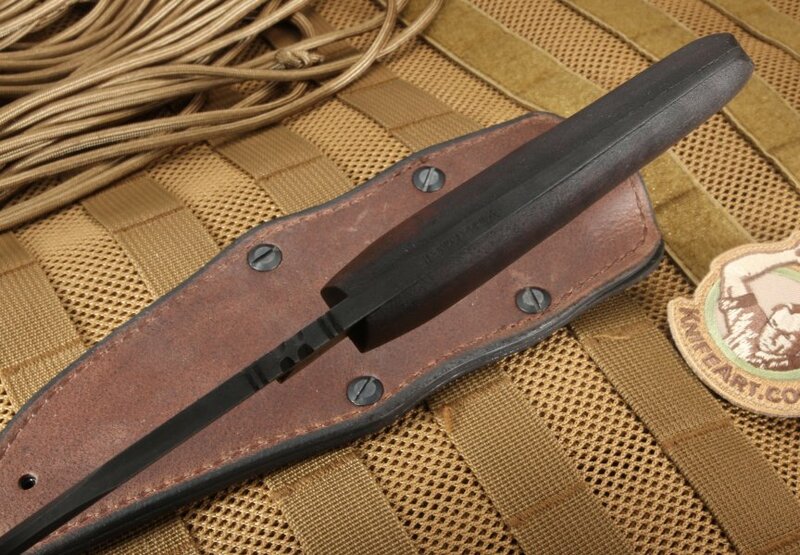 The classic drop point blade profile, offers a durable piercing point ideal for field dressing game, and a black caswell finish preserves the integrity of the blade through rust prevention. A maple handle gives the Winkler Field Knife a traditional and natural look. The benefits of maple scales include a beautifully smooth grain and a durability that will last for years. 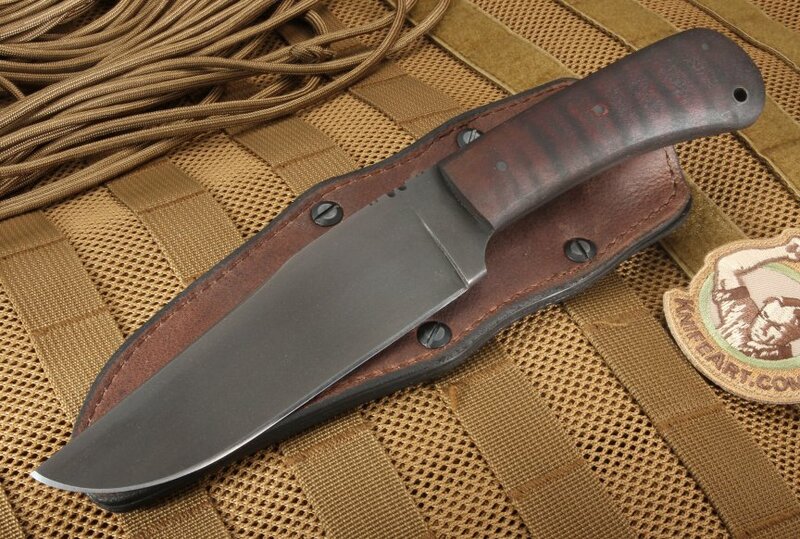 A lanyard hole offers the option to secure the blade in your hand, and a top quality leather sheath, kydex-lined, guarantees your knife will always be safe and secure when not in use. The total size of the knife is 10.2ö with a weight of 8.1 oz. When you buy a Winkler blade, you buy more than a tool. You buy a tradition of craftsmanship that reaches back to our country's foundation. We value our customers here at Knife Art and as an authorized dealer we guarantee satisfaction and fast shipping. Contact us today to make an investment that will last a lifetime. This knife is carried and used by Matt Graham, of the Discovery Channel show Dual Survival.